From Workplace to Playspace is about visionary, courageous, innovative, and persistent organizations that challenge long-held preconceptions about the incompatibility of workplace and playspace. 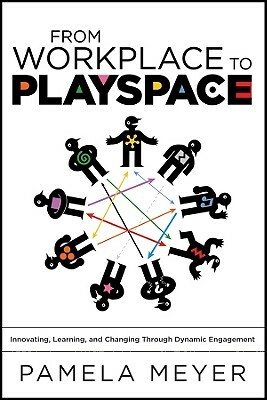 Each day organizations across industries and with wide-ranging missions are discovering that playspace is the space they can and must create every day at work if they are to think creatively, question old assumptions, respond effectively to the unexpected, and engage all to work at the top of their talent. Filled with case examples from such organizations as Learning Curve International, Google, Chicago Public Schools, Umpqua Bank, and Threadless, the author provides both the conceptual framework and the principles to guide practitioners to create playspace for innovating, learning and changing in their organizations.